Photo courtesy of Fireflies and Moonpies. 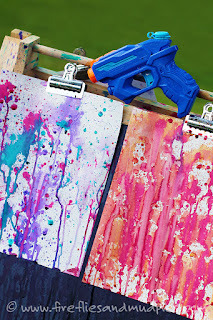 For a unique painting experience, how about using squirt guns? Check out this tutorial at Fireflies and Mudpies.